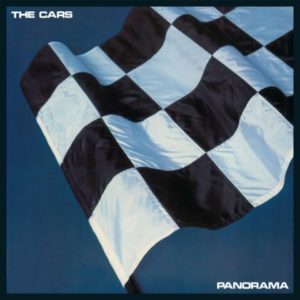 Some eighteen years after The Cars’ self titled debut album was afforded the 2CD deluxe reissue treatment, fans of Ric Ocasek and Benjamin Orr can now breath a sigh of relief. After almost two decades of hoping other Cars titles would be reissued with various bonuses, two more titles hit the shelves in July 2017. The band’s second album, the excellent ‘Candy O’ (originally released in 1979) is bolstered with seven tracks, including a long unavailable b-side and a previously unheard track. The hugely unloved ‘Panorama’ (originally issued in 1980) includes four new bonus tracks, including a non-album b-side and three previously unreleased tracks from the original album sessions. Both ‘Candy O’ and ‘Panorama’ are released in the UK on 28th July. Full track listings for both releases are detailed below. This entry was posted in News and tagged benjamin orr, classic rock, deluxe edition, reissues, ric ocasek, the cars by Real Gone. Bookmark the permalink.